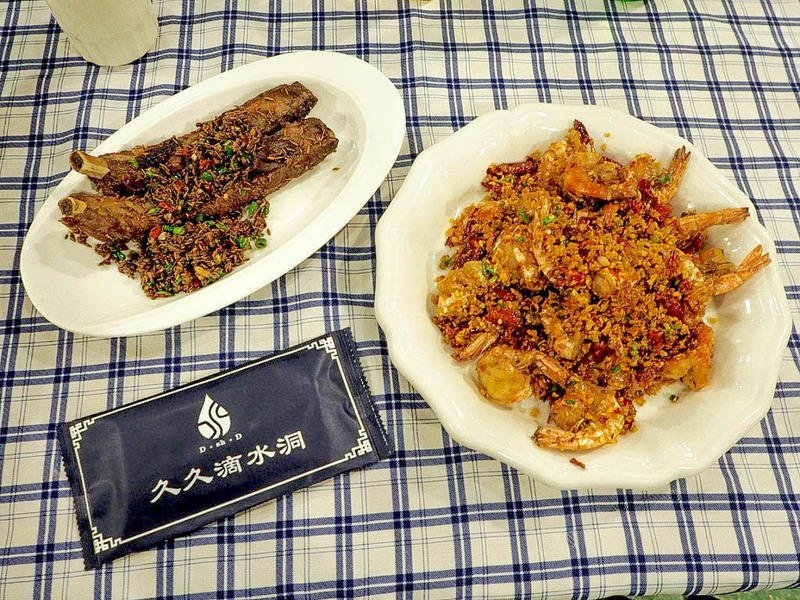 I found it surprisingly difficult to find affordable, good quality Chinese food in Shanghai. It is definitely the most multicultural city I’ve been to in China, which means there are some amazing European restaurants to be found, but I was in China for goodness sake! Like most accessibly priced restaurant in China, there’s no airs and graces at Di Shui Dong and certainly no fancy decor. This place had tablecloths which was a novelty in itself, and had menus with photos, praise be! After our escapades in Chengdu this was a particular relief. I was with a friend who doesn’t eat seafood, too much spice, or meat on the bone, so we amicably decided to order separately so I could try EVERYTHING. The stand out dish which everyone had recommended to me was the cumin ribs. Holy tastebuds, these were insanely good. Cumin is my go to spice in my own cooking; I absolutely love it, and these ribs were laden with it. 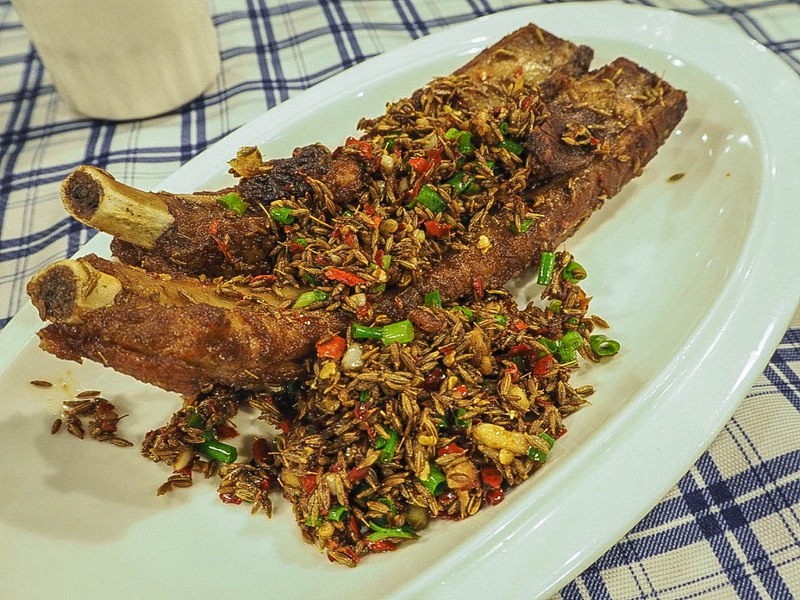 Juicy, succulent ribs with additional spring onions and chillies (of course). I was so glad my friend didn’t want to share these because they were without a doubt, the best thing I ate in Shanghai. 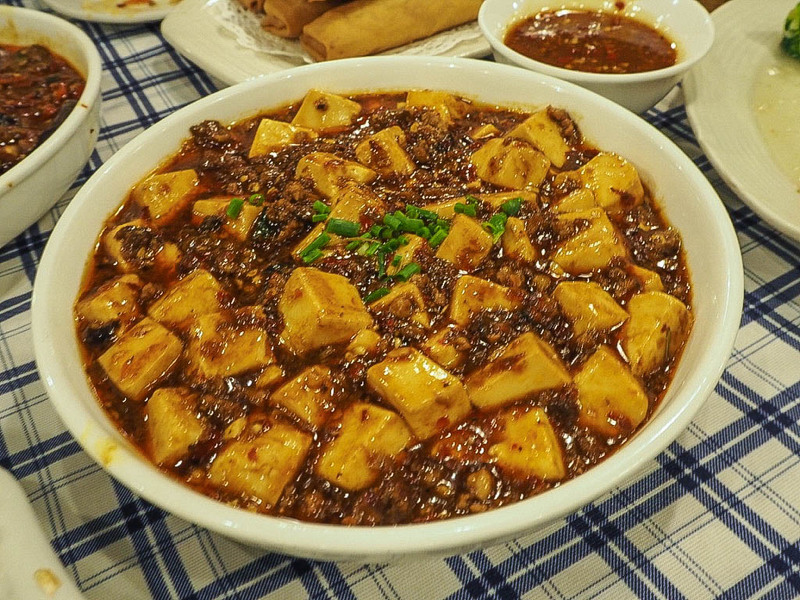 I threw caution to the wind and ordered crispy prawns and mapo tofu, the former being Hunan cuisine which is notorious for its spice; the latter being of Sichuan origin which I’d had in Chengdu and is more of a numbing heat. 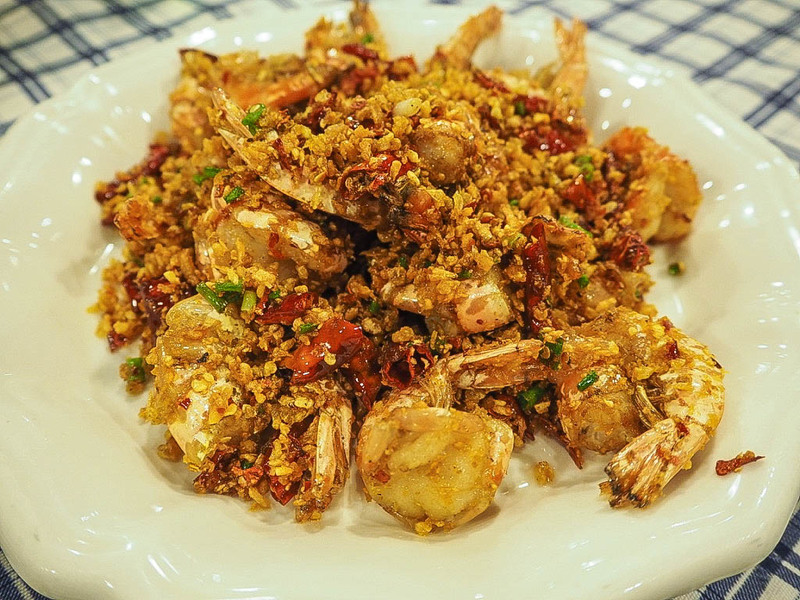 The prawns had an incredible crunch and a dry heat that didn’t come from an MSG-laden sauce, but just from chillies. The tofu was the total opposite in texture; almost silky and a true test of my unrefined chopstick skills, it had that familiar Sichuan peppercorn bitter heat that I’m weirdly growing to love. Cranking up the heat a bit more, I went for aubergine with pork mince, something that I’ve had in many guises in China. 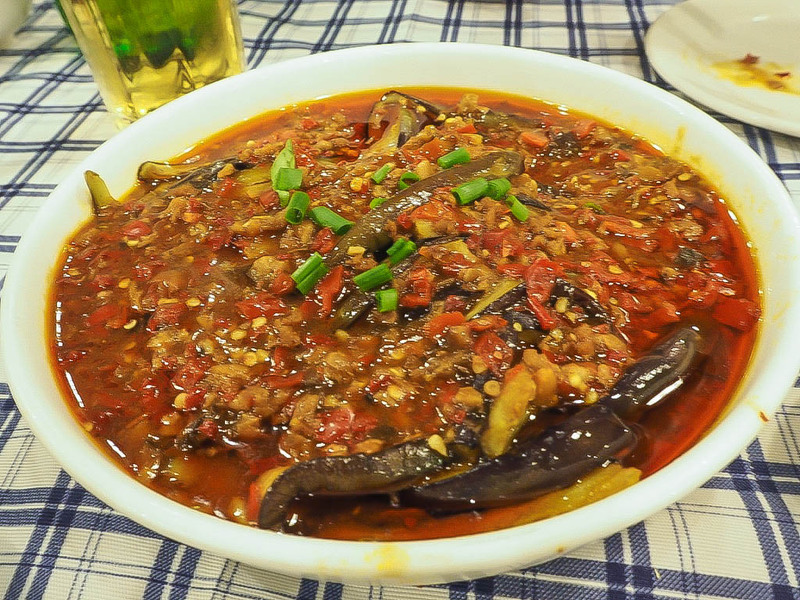 The aubergine is always a bit too limp for my liking, but with the spicy mince its saltiness does wonders. This is even something that my spice-hating friend couldn’t help but tuck into! 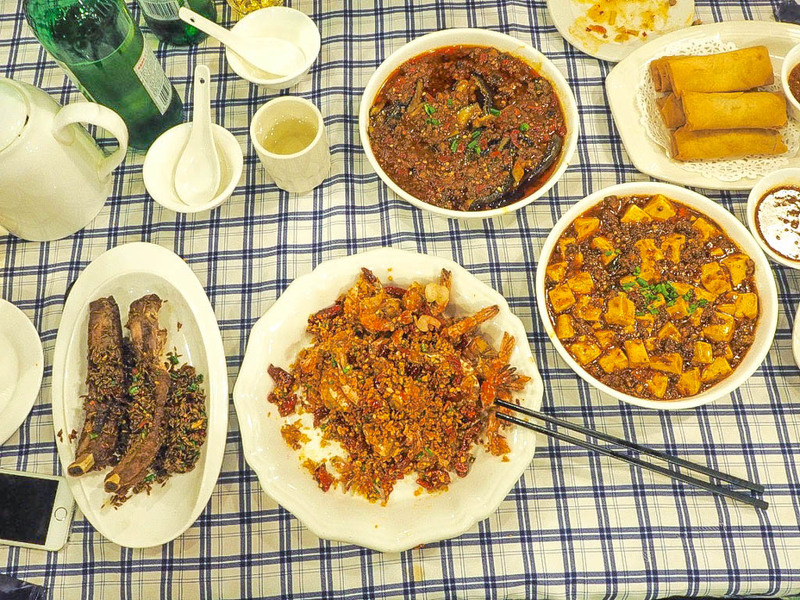 Set in the brilliant French Concession area of Shanghai, you could miss Di Shui Dong if you walked past too quickly, but up the unassuming stairs from street level is authentic Hanan food, and it’s totally worth seeking out.